Reader's Digest/Taste of Home, 9781617657900, 256pp. 237 All Time Favorites that Won't Break the Bank! Save money, beat the clock and fill up on all the foods you crave with Affordable Eats! Think it can’t be done? This new Taste of Home book shows you how to eat right when cash is tight. Chicken Enchiladas, Pizza Casserole, Creamy Fettuccine, Peanut Butter Dump Cake…whip them up with a few bills and some change. You’ll even find bargain breakfasts and inexpensive lunch ideas that cash in on flavor without breaking the bank. 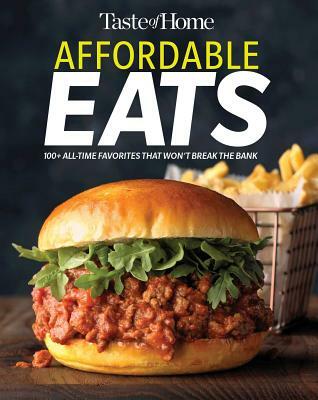 Grab a copy of Affordable Eats and start saving today!